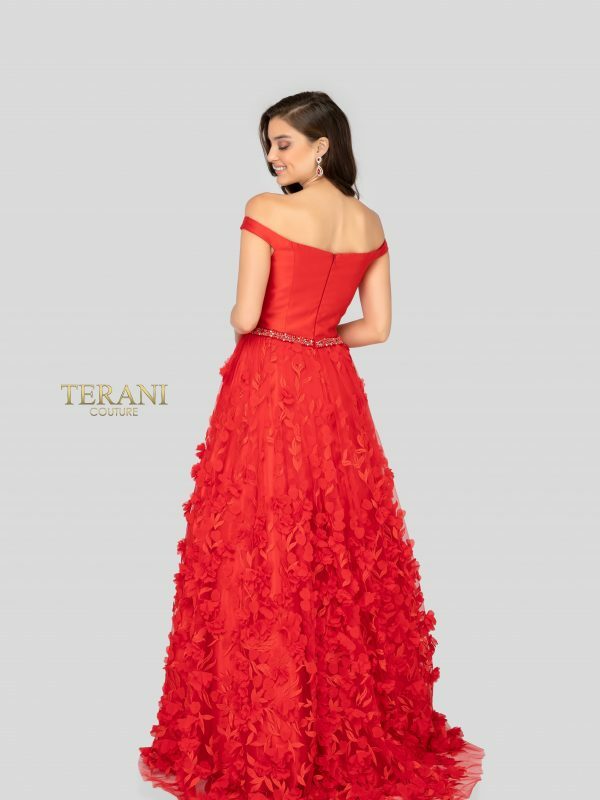 Faviana style S10023 is elegant with a hint of fun. 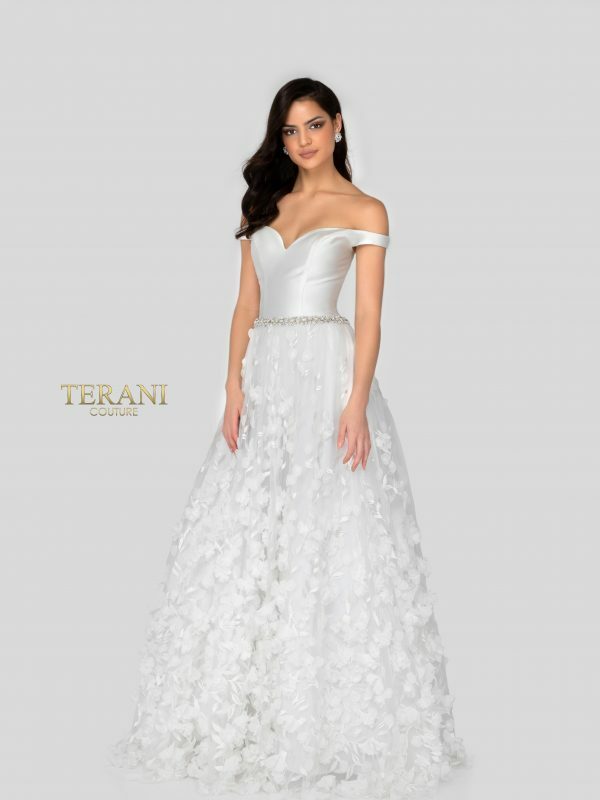 This stunning tulle dress features a full skirt, floral applique, and a lace up back. Perfect for any body type.